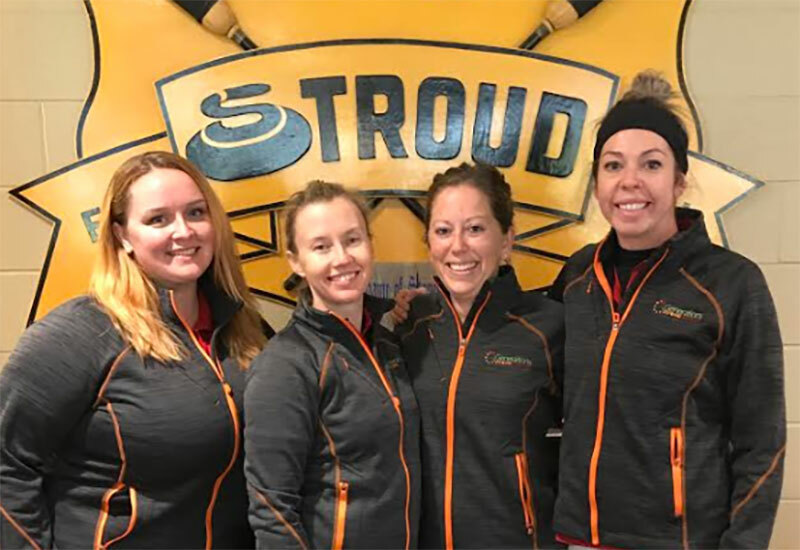 Jaimee Gardner (Burlington, Ontario) wins the Stroud Sleeman Cash Spiel, defeating Kirsten Marshall (Kitchener, Ontario) 5-4 in an extra end at the Stroud Curling Club in Innisfil, Canada. Gardner with Jackie Kellie at third, Ainsley Galbraith and Jenn Minchin on the front end take home the $2,000CDN first place cheque along with 18.310 world ranking points, while Marshall receives $1,300CDN and 13.427 world ranking points for their second place finish. Gardner opened the scoring stealing 1 in the first end, added another steal in the second end. Marshall scored a single in the third end, then forced Gardner to a single in the fourth end. Marshall scored a single in the fifth end, then added a steal in the sixth end to tie the game at 3. Gardner scored a single in the seventh end, Marshall scored a single in the eighth end to send the game to an extra end where Gardner scored a single for the 5-4 win. In the semifinals, Gardner defeated Chelsea Brandwood (Toronto, Ontario) 7-5 and Marshall defeated Susan Froud (Kitchener-Waterloo, Ontario) 11-3. Froud and Brandwood earned $1,000CDN and 10.376 ranking points for their semifinal finishes. In the quarterfinals, Brandwood defeated Marteen Jones (Lakefield, Ontario) 7-1 and Froud defeated Heather Heggestad (Stroud, Ontario) 7-2. Heggestad and Jones earned $750CDN along with 7.324 ranking points for their quarterfinal finishes. Gardner went 3-1 in the 11 team round robin pools qualifying round. In their opening game, Gardner defeated Alison Goring (Markham, Ontario) 8-1, then won against Jenna Enge (Thunder Bay, Ontario) 7-6, losing their next game to Julie Hastings (Thornhill, Ontario) 9-8. Gardner then responded with a 10-0 win over Jones in their final qualifying round match.